We have a very sophisticated thinking mechanism in our head. According to a research by the University of Alberta, the average “clock speed” of neurons in the brain is a mere 200 firings per second (fps). If we have 100 billion neurons in our brain all firing around 200 fps, this will give a capacity of 20 million billion fps. This is a staggering number of thoughts generated per second. The brain never stops thinking. It is constantly working 24/7 even while we are asleep. The brain is busy processing the day’s information as it runs through recently formed memories, sorting and organising the information so they will be useful the next day. We think for answers to complex questions, look for solutions to daily problems and find new ideas to help resolve our longer-term issues. If you peek into Leonardo da Vinci’s notebook, you will find sketches of modern-time machinery and weaponry he had thought of. It was not possible for many of his ideas to be implemented during his time, but they have been proven to be workable today. These are great ideas that came from his thoughts. Many of the world’s most successful people started from a little thinking, and then went on to put their thinking into action. Bill Gates started from thinking about putting a computer in every home. Michael Dell was thinking whether he could cut costs from paying the middleman and sold his computers directly to the customer. Steve Jobs lived his entire life thinking about how he could apply technology differently in our lives. If we want to accomplish big things in life, then we have to start small from a little thinking. What do I mean by a little thinking? It is a short moment of time when our brain is engaged in purposeful thinking. Not necessarily intense, but also not to be confused with daydreaming (although daydreaming is a good brain activity). It should not last too long, typically for 10 minutes or so. It happens usually for a reason — to find answers, resolve an issue or generate new ideas. The question here is how to make our little thinking become more effective for us? 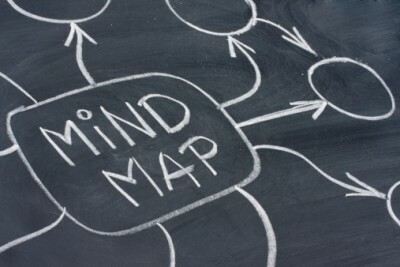 I have been using Mind Maps for about six years and it has helped me capture all my little thinking. A Mind Map is a visual thinking tool that helps structure information, enabling you to better analyse, comprehend, synthesise, recall and generate new ideas. Just as in every great idea, its power lies in its simplicity. I have three simple principles when it comes to doing my own little thinking. Due to our busy lifestyles, we often spend more time doing things than engaging in thinking. The Mind Map helps me to think quickly and easily because of its branch-like structure. I keep a notebook and multi-colour pen in my pocket so I can Mind Map my thoughts and ideas when they occur to me at any time of the day. It is like an “idea bank account”, where I make small deposits of my ideas during my little thinking moments. I believe the more ideas I can regularly deposit from thinking more, the higher my rate of return when there is a need to withdraw these ideas to be used in my work. Being creative is important in almost any type of work and job scope. I use the Mind Map to brainstorm and think of new angles to a specific problem. The Mind Map format (which resembles a brain neuron) enables me to radiate my ideas from the central theme by using associative thinking and branch out indefinitely. It also encourages the use of colours and images to stimulate visual thinking and creativity. I am in a “doodling” state when I add on the colours and images to my Mind Maps. This method is useful for brainstorming as it produces more ideas than traditional linear thinking. According to John C. Maxwell’s book How Successful People Think, thoughts need to be “shaped until they have substance” and need to stand the test of “clarity and questioning”. Many of my Mind Maps drawn are like work-in-progress, and I will refer to them to think more in-depth about a specific topic. This is also when I make withdrawals from my idea bank account and further enhance my thinking before applying them into my work. Therefore, I highly recommend Mind Mapping as an effective thinking tool because it is brain-friendly and easy to apply, capturing our little thinking from time to time.